This report is about the mechanisms used in the planning of an audit of financial statements of a company. These concepts include determining materiality for the planning of audit which is known as planning materiality. This defines the scope of the audit process and procedures. Other than this the analytical procedures are discussed in this report as the part of the audit process. The base for the audit planning is to understand the organization and the environment in which it operates and therefore the preparation of common size statement is also included. The comments are also provided for defining the understanding gained and scope of the audit. The company used for this is Clod 9 Pty Ltd. The company is based in Sydney and in order to establish its brand in the market, it performed a marketing campaign across Australia during the ear 2011. The audit is for the year 2011 is to be conducted by W&S Partners which is an Australian accounting firm, for this company. According to Arens, et.al (2011), it refers to as the level or degree of significance with regards to the amounts included in the financial statements of an entity. The planning materiality helps the auditor to identify those transactions which are likely to have a major impact on the decision making of the users of these financial statements. There are four elements of the financial statement which can be used as the basis for calculating the planning materiality. These include profit before tax, turnover, total assets, and total equity. The profit before tax and turnover are the elements which form the base of planning materiality of Profit and loss statement and total assets and equity of company are the elements which are used for the planning materiality of the balance sheet of the company. But, the audit methodology of W&S Partners requires that only one overall base shall be used for the planning materiality of all the financial statements including profit and loss statement and balance sheet so that a uniform approach can be used for the audit procedures as a whole. Also, the audit plan of the accounting firm does not allow the average of these bases to be used for the overall planning materiality (Brown, 2011). Therefore one of the four elements will be used here for the planning materiality of Cloud 9 Pty Ltd.
From the year-end projected balances of financial amounts of Cloud 9 Pty Ltd., it can be observed that the company is likely to have reporting loss for the year which means that the profit of the business are not consistent and thus profit before the tax cannot be used as a suitable base for the planning materiality amount. Similarly, turnover will also not selected since the financial performance of the company is not stable and by using this as a base the estimate of likely risks will go wrong. The equity structure of the company will not comprise of the risk related to the debts and therefore total assets which also represent the capital employed in the business will be used as the base for calculating planning materiality. The total assets of the company amount to $32,133,701. The starting threshold determined by W&S Partners is 0.5% of total assets which needs to be adjusted for the business risk factors. The company imports the raw material from China on FOB basis which indicates the business is highly exposed to risk being part of the rapidly changing global environment. Also, it is a subsidiary of Clod 9 Inc. which increases the risk. Other than this the theft of inventory reported by management is also a risk factor. Due to this, the adjustment of starting threshold will be made by reducing the amount of materiality for determining trivial errors. Thus if 10% risk is assumed for all the three factors discussed above planning materiality will be 70% of the threshold which is 0.5%*70% = 0.35%. For the audit planning of the company, it is very important to understand and analyse the risk involved in the business processes and financial reporting of the company. These risks can be identified by performing the analytical procedures as part of the audit plan (Brewster, 2011). These procedures to be performed for Cloud 9 Pty Ltd will include comparative financial statements and ratio analysis. The analytical procedures help the auditor in tracking the unexpected fluctuations in the values during the year which indicate the areas of high risk and probably frauds. From the comparative financial statements, it can be observed that the changes in profit before tax and revenues are too high which require special audit consideration. Apart from this, changes in cash assets, prepayments, and fixed assets on the asset side of balance are unexpected fluctuations whereas changes in short-term provisions, interest-bearing liabilities, current tax liabilities and accumulated losses are high fluctuations during the period. However, the comparative financial statements are subject to the limitation that the period of comparison of both the reports is not same. The liquidity ratios of the company are high which means that the current assets of the company are more than the current liabilities and are sufficient to meet the short-term debt obligations. Also, the high inventory turnover indicates that the stock is utilised by the company in an optimum manner to generate revenues. But as compared to 2010, the liquidity of company has declined to a little extent. As far as the solvency of the business is concerned, it can be observed that the business was solvent in the previous ear but here is a high decline in the current year which creates the risk of solvency of business in the near future. The interest cover of the company declined at a double rate. In the context of profitability, it can be observed that the profits declined substantially and the loss is reported in the current year. Thus, there is a risk of inconsistency in the business operations of the company. The high fluctuations in the common size statement result in high business risk for the auditors to obtain sufficient evidence regarding the accuracy of financial statements. The statement shows that the cash assets as part of total assets have declined substantially during the period. The interest bearing liabilities as a percentage of total assets has also substantially declined which represent the debt to asset ratio. This fluctuation and uncertainties indicate high inherent and control risk in the business operations of the company and therefore, the auditor will be required to perform a substantive test of details with regards to these elements and transactions (Knechel, et.al, 2012). The common size statement of balance sheet prepared as a part of analytical procedures indicates that the internal controls of the company are weak and thus a test of details will have to be performed which include physical verification, third party confirmation, recalculation of estimates and valuations etc. This report is based on the information collected from the analytical procedures performed and calculation of planning materiality in order to plan the audit of Cloud 9 Pty Ltd for the year 2011. It can be observed that the company incurred heavy losses in the year and the revenue also decline by 17% as against the budgeted increase of 3%. Apart from this, the cash assets of the company declined substantially with the simultaneous decrease in the interest bearing liabilities. Also, the short-term provisions increased to a large extent. The probable reasons for the decline in cash assets may be increased fixed expenses including the advertisement and promotion expenses that relate to the marketing campaign of the company under which it sponsored an event to promote its brand and opened a new retail store in Sydney. The reason for the decline in interest-bearing liabilities might be the repayment during the period. The provision for warranty claims was 2% of sales during the previous year but in the current year, the provision has been increased. The change in accounting estimate is required to be disclosed in accordance with the accounting standards applicable to the company. Also, a substantive test of details is required to be performed for the elements of financial statements. The physical verification of inventory and fixed assets has to be conducted. The cash assets have to be verified for audit assertions including the existence, authorization, and disclosure. The third party confirmation has to be obtained for the repayment of debts (Stewart & Kinney, 2012). The liquidity position of the company is strong but the solvency ad profitability is adverse. The low profitability is due to heavy losses in the current year and the inadequate solvency is due to declining in interest cover which is again affected by the current year losses. Thus, the above outlined specific areas require special audit considerations and a substantive test of details. The plan of the audit of Cloud 9 Pty Ltd has to be prepared and modified in accordance with the significant risks and fluctuations identified through analytical procedures in consideration with planning materiality. From the discussion and analysis of audit concepts applied in the context of the business of Cloud 9 Pty Ltd for the year 2011 and analytical procedures performed for the year 2010 and 211, it can be observed that the profitability position of the company declined in the current year indicating high-risk areas for the auditors of the company. The audit planning will be effective if the audit plan of the company is being prepared using the different auditing tools and concepts discussed in this report. Arens, A.A., Elder, R.J. & Mark, B. 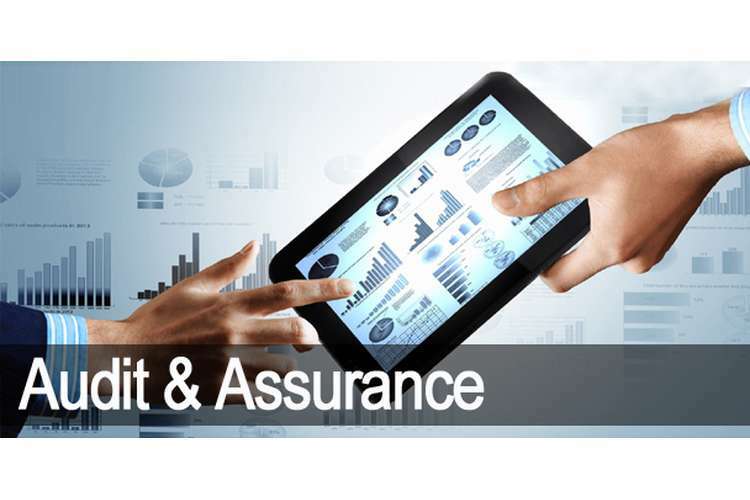 2012, Auditing and assurance services: an integrated approach. Boston: Prentice Hall. Chen, F., Hope, O.K., Li, Q. & Wang, X. 2011, “Financial reporting quality and investment efficiency of private firms in emerging markets”, The accounting review, 86(4), pp.1255-1288. Desai, V., Roberts, R.W. & Srivastava, R. 2010, “An analytical model for external auditor evaluation of the internal audit function using belief functions”, Contemporary Accounting Research, 27(2), pp.537-575. Houghton, K.A., Jubb, C. & Kend, M. 2011, “Materiality in the context of audit: the real expectations gap”, Managerial Auditing Journal, 26(6), pp.482-500. Knechel, W.R., Krishnan, G.V., Pevzner, M., Shefchik, L.B. & Velury, U.K. 2012, “Audit quality: Insights from the academic literature”, Auditing: A Journal of Practice & Theory, 32(sp1), pp.385-421. Stewart, T.R. & Kinney Jr, W.R. 2012, “Group audits, group-level controls, and component materiality: How much auditing is enough?”, The Accounting Review, 88(2), pp.707-737.